This beautiful Romanesque Clock Tower is one of the most important landmarks of the city that is visible from distant places too. The best time is during the evening when it is lit up with fluorescent lights that project figures of many other clocks on this tower. It is a beautiful sight! During the day time it is a good place to visit with your guide and get to know stories of the city’s past. The Summer Festival of Light is when this place is very crowded as this is one of the most gorgeous light and illusion festivals in whole Europe. During this festival they show the whole history of this city like a moving story that speaks lights! The figures come up of all historic buildings and main places and also what represents this beautiful city. 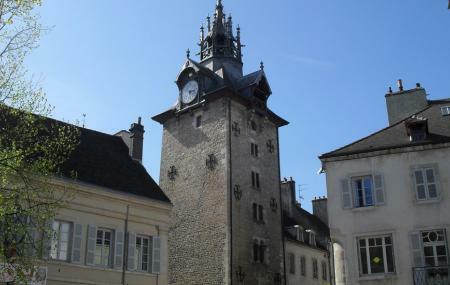 How popular is Beaune Clock Tower? People normally club together Basilique Collegiale Notre Dame and La Moutarderie Fallot while planning their visit to Beaune Clock Tower.